​As an experienced full-time professional Male Voice Over Talent, Andrew's deep, rich voice runs from Friendly to Soulful to Sinister. JUST RELEASED.......Orchid Games "Graven: The Purple Moon Prophecy". Andrew performed the voice-over for Daniel in this puzzle/mystery/adventure game for PC or Mac. It has awesome graphics, and addicting game play. 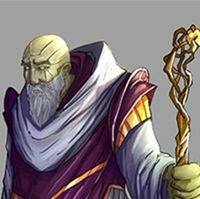 Andrew just finished recording dialogue for the character Onslow - Guardian of the Brood in the video game Amaranthine Voyage: Legacy of the Guardians. "Just wanted to let everyone know that Andrew and I just did a test hookup. All went very well and the sound quality was fantastic. Everything should be good to go for our session in early January". Deep Voice Overs and Deep Voice Over Talent Deep Voice Actor with Deep Voices Deep Voice Actor and Deep Voices from professional Deep Voice Actors for Movie Trailer, Narration, Commercials, Radio, TV, Production, Deep Voice Los Angeles Deep Voice New York City Deep Voice Hollywood, Tampa, Atlanta, Orlando, Dallas, Deep Voice Overs and Deep Voice Over Talent with Deep Voices for Movie Trailer Voice Overs, Narration, Radio, TV Commercials. Deep Voice Actor, Deep Voice Actors, Deep, Voice, Actor, Actors, Deep Voice, Deep Voices.